JEPP prides itself on being a fast and efficient journal. However, JEPP is going into sleep mode for the period December 22, 2015, until January 2nd, 2016 (no doubt some of you will be muttering ‘the Editors are always in sleep mode’). Jeremy will be on holiday with Sonia, Tess, Molly, and Harvey (the dog) at their holiday home in Akaroa, on the Banks Peninsula in South Island, NZ. The family will do some kayaking and coastal walking, but Harvey will only paddle, fearful of actually swimming. 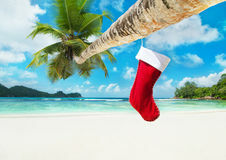 Berthold and Jess are spending the holidays in Palm Beach (Jess’ parents refuge from the Candian winter) and will explore the odd island in the Caribbean by boat. Yes, there is something odd here. Shouldn’t Jeremy (at his age) be going on a Caribbean cruise and Berthold doing the kayaking? OK, Berthold does ski and mountain hike much of the year while Jeremy is trying to develop muscles by lifting glasses of NZ Pinot Noir. Michael will be neither cruising nor kayaking, he also does not own a holiday home (yet), and sees no need to develop (even more) muscles, but simply looks forward to conquering a pile of novels from his sofa, well wrapped into the new Norwegian wool blanket. Philipp will escape London’s confusingly Bavarian Winter Wonderland, leave shopping sprees on Oxford Street and plum pudding behind to spend Christmas with his family near Munich (and also ignore his impending statistics exam as long as possible). By all means, submit your articles into the online system while we are relaxing during the holiday period. Better still, you too should have a jolly nice break from academic things. Jeremy, Berthold, Michael, and Philipp.